See all posts Random post Follow this page Send to a friend Comment on the page Previous : The golden-brown finish on puff pastry Next : Is it really necessary to cream egg yolks? Let’s take confectioner's custard (crème pâtissière, or french pastry cream) as an example: there’s a stage at which the egg yolks are mixed with the sugar. Is there anything particularly difficult about this? Not really. 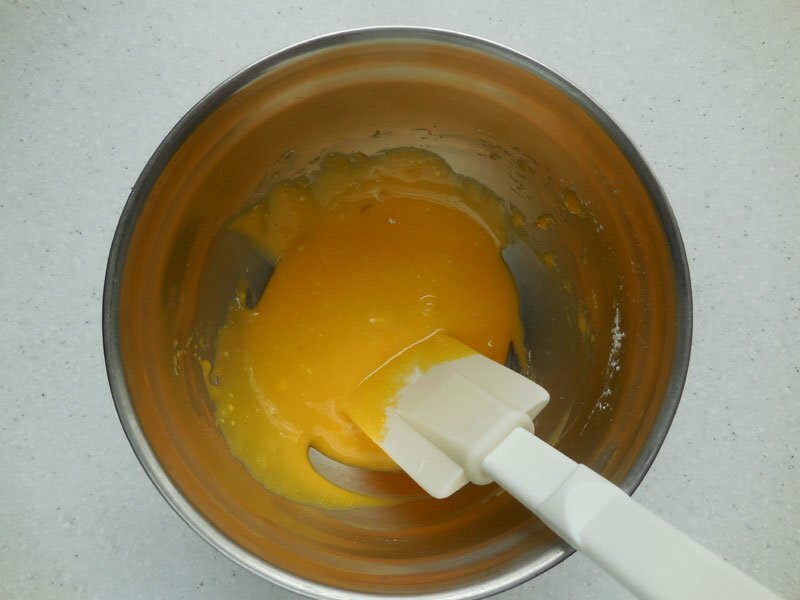 We mix the yolks and sugar together (without whisking) and that’s all, but there’s an important little tip well worth knowing. 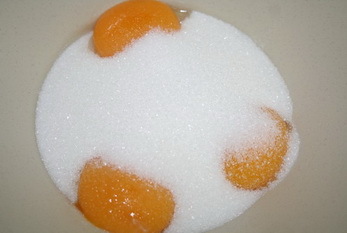 You might be tempted to separate the egg yolks from the whites and simply tip them into the weighed-out sugar, as shown in the photo below. 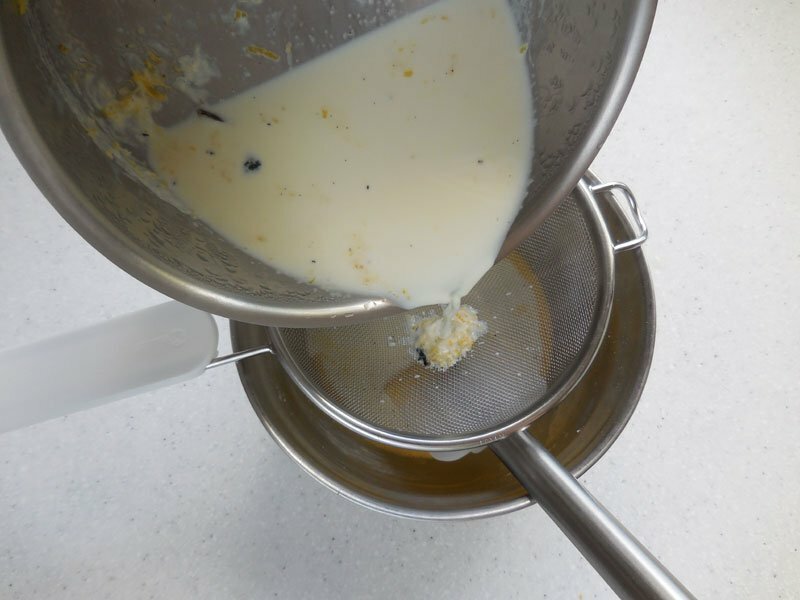 Then why not go off to do something else, such as putting the milk on to heat up, before coming back to the egg yolks and sugar mixture later?